Luxury Bedrooms – It’s resolution time. New year, new you — and nowhere is that more fun (and important) than transforming your sleeping spaces into luxury bedrooms. For real, not only are you spending at least a third of your time there (when you sleep, goofball), it’s also important to create luxury bedrooms because it’s a space to relax and unwind after a long day. While it may seem like a total hassle to create luxury master bedrooms (Do I need an interior designer? How contemporary should I go?) there are actually a few simple tricks that you can use to create the luxury bedrooms of your dreams. So don’t waste any more time getting a bad night’s sleep in a hovel of a bedroom. Or if you already have one of the modern luxury bedrooms of your dreams, here are some tips so that your guests can also live in the lap of luxury whenever they stop by. You’ve already got the fully equipped kitchen, the great living room complete with fireplace, flat screen, luxury furniture, and other modern amenities, now it’s time to give that special treatment to the rooms that mean the most. 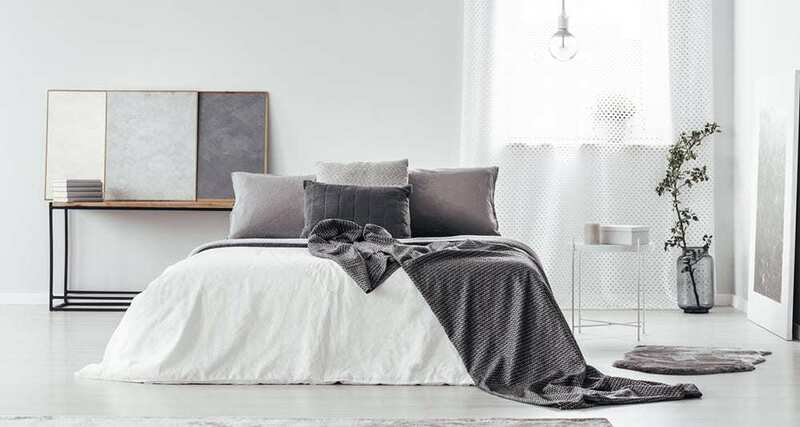 Here are some surprisingly elegant and simple looks that will turn your assembly house into the cozy luxury bedrooms that you’ve been dreaming about. One problem that even a seasoned interior designer can run into is trying to do too much in a small space. That’s why it’s so important to look at your square feet that you have available going in before you start purchasing a bedside table or custom headboard. It’s actually not as crazy as it sounds. While you might want to look at floor plans for your house, if you’re not as spacially inclined as that and can’t really picture how it’ll translate to your floor, you can also take the easier route of measuring and taping off areas that will be occupied by your pieces of furniture. That stuff can include extra beds, antique furniture, and even lighting. While it doesn’t have to be perfect, having that tape as a visual guide can help you plan out the interior of your place, so you don’t get too cluttered and out of control. 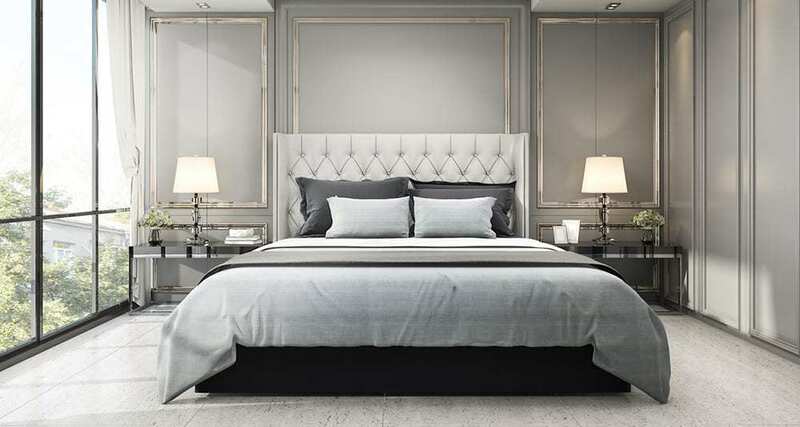 Luxury bedrooms start with a plan, they don’t happen on accident. 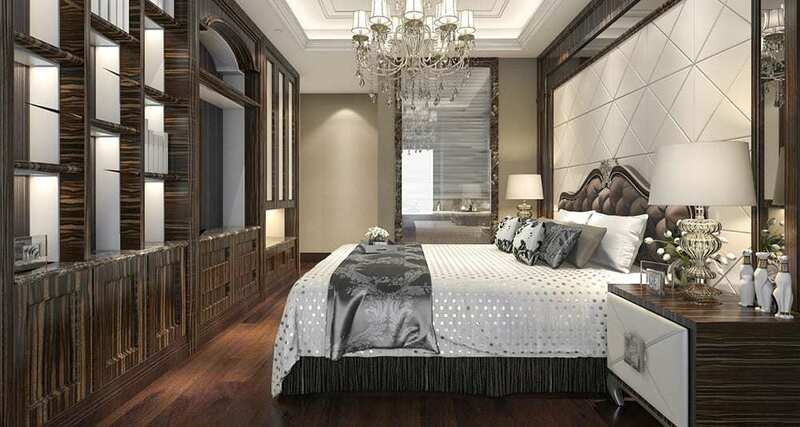 Luxury master bedrooms always have a theme. It could be boho, midcentury modern, or even a farmhouse style, but any piece you pick should fit into this general aesthetic. It also has to speak to the rest of your house. What does your dining area look like? How about your living room? While we may want the luxury suites look, if the rest of your house has a rustic feel, it may be a little jarring when you go into the bedroom. Feel free to make some bold choices, but for the most part, you probably want your modern luxury bedrooms to feel neutral and restful. That’s a great way to provide easy elegance without having to think too hard. Try to match your style to your personality. If you’re a Mad Men-type, then midcentury modern looks with interesting designs and a fun, funky headboard might really make your room pop. Maybe you like a classic Victorian look with ornate pillows, and a beautiful, rich duvet cover. No matter what, try not to mismatch too much — a little can add some pizazz, a lot can make it look like a mess. Table lamps, pillows, and a great nightstand can all give your room a distinctive style that is both modern and classic. 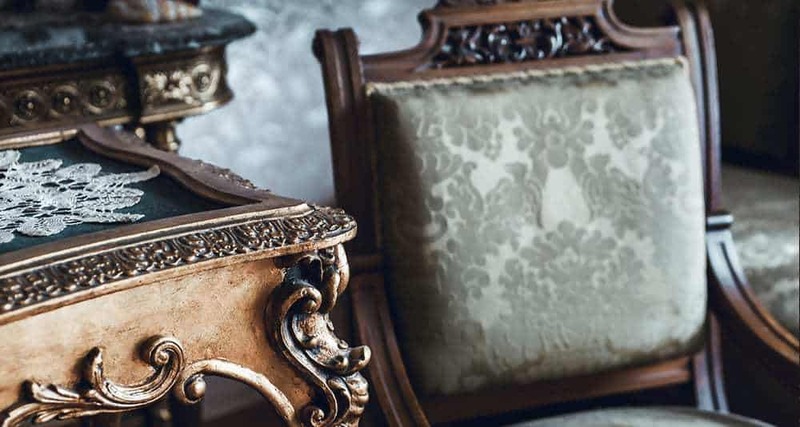 These pieces should fit naturally into your space, effortlessly exuding the charm of luxury master bedrooms of the past. Find pieces that fit your personal taste, and that match the texture that you’ve already set up. They don’t have to be large, a few small personal items can go a long way in establishing a tone and theme for the room. Remember, this isn’t your kitchen — you’re not looking to pick out a dining table or anything. In your bedroom, the focal point should always be your bed. That doesn’t mean you shouldn’t plan on having great accessories here, it just means that the pressure is off and that they don’t have to carry the day. That should be a great comfort for those of you stressing about finding the perfect antiques for your modern luxury bedrooms. Just be calm, confident, and do you. That style translates. 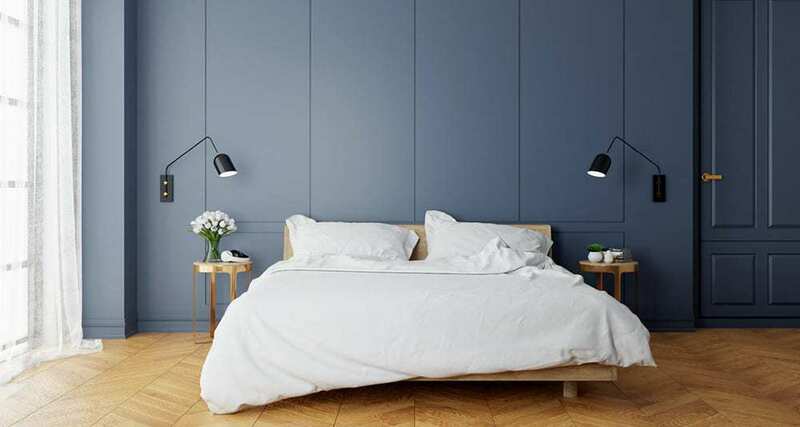 Here’s something that never should be in any of your luxury bedrooms: plain white walls. Having plain white on your walls gives a weird hospital vibe that is decidedly not luxurious. Instead, paint your walls and ceiling a solid color that you find relaxing. While it’s not always recommended to do a dark color, solid color choices can actually look beautiful in the right context. Think rich blues and greens, those are wonderful choices that can vibe with most antiques and decorated tastes. On the other hand, if you want to have a little more texture, you can try wallpapering your ceiling. This is especially effective in small bedrooms, where there just isn’t enough space to do something interesting visually on the walls. This is a trick used by tons of hotels around the world. If it’s good enough for a fancy hotel, it’s good enough for you! This might sound like a no-brainer, but you have to figure out how much light is going to be in your space. Do you have a high ceiling? Then you’ll be focusing on providing better context for that natural light. Do you have smaller windows? Focus on creating a lot of soft lighting with a hanging light or bedside tables. 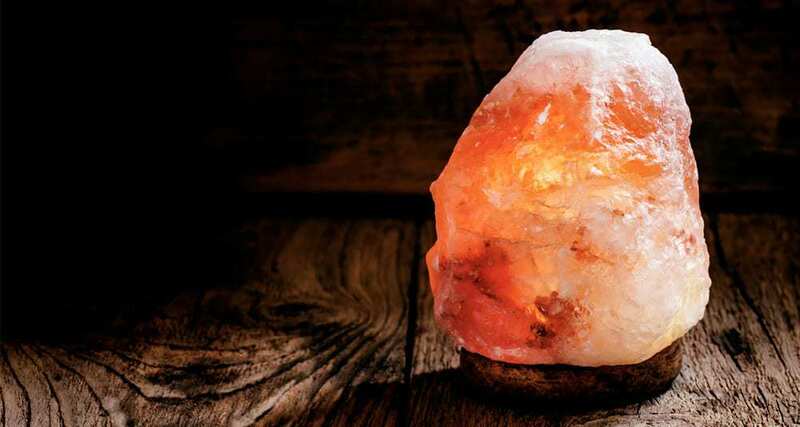 Lighting can change the tenor of an entire room, just by how soft or hard it is. You definitely aren’t looking for the high school cafeteria or public swimming pool look, so try to avoid harsh lights whenever you can (always). If you already have too many overhead lights, just don’t use them and see how much this changes the feel of the decor in your room. We guarantee it’s going to be a surprise. Beds are important to bedrooms. No duh, right? But too often we spend money on the little things and then balk at the price of a really nice bed. That’s dumb, and it’s hurting your space. Your bed is the focal point of the room. You need to pick one that’s supportive, beautiful, and aesthetically pleasing. 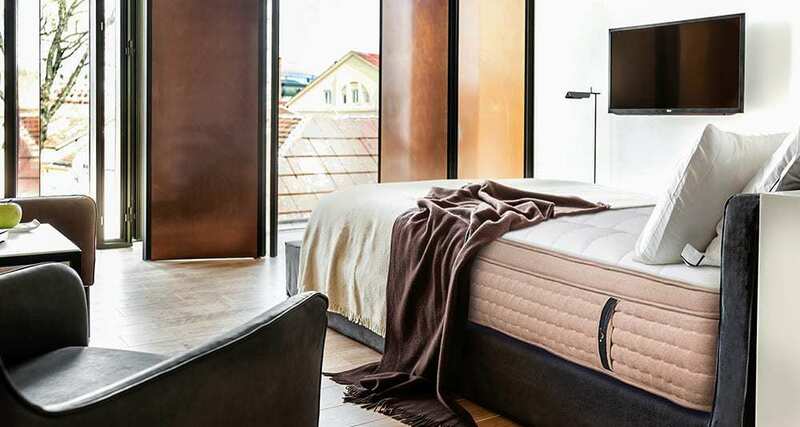 The good news is its never been easier to shop for a bed online and find one that fits you. 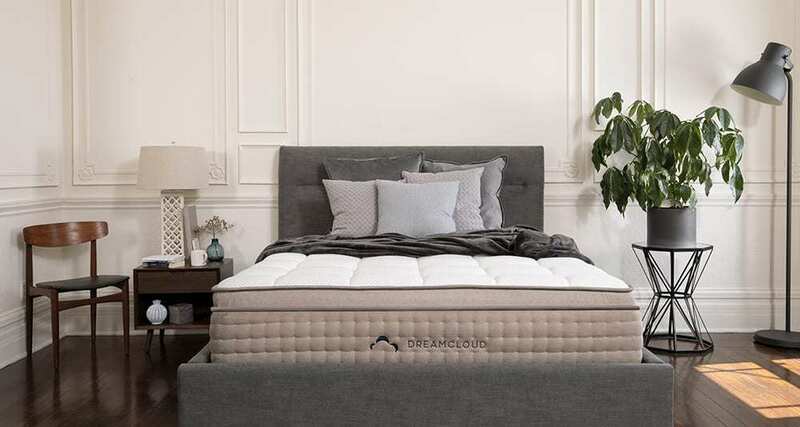 From a custom headboard, to an adjustable frame, there are all kinds of things that can take your bed to the next level. Go big or go home. That’s the motto for your bed. Bedding is my secret tip for how to make a great bed pop even more. Soft linens made of modal microfibers are a great way to get a plush and elegant feeling for your bed, and in turn, create a luxury bedroom. If you can afford it, we recommend natural fibers like Egyptian cotton or silk to create a full-blown experience that not only looks great but sleeps great too. I’m all about that linen and you will be too. Treat yourself, you’ll notice the difference the first night you sleep on them. How many pillows do you have? You probably need more. Pillows are another secret key to bedroom pleasure. You know that hotel look where they even have throw pillows on the bed? There’s a reason for that. Pillows are both aesthetically pleasing and extremely functional when it comes to sleep. Don’t just settle for one or two ratty pillows that you’ve had since college. It’s time to up your game with memory pillows to sleep on, with smaller, more fun throw pillows for texture and such. Plus pillow fights rule. No matter what, remember that the best luxury bedrooms are extensions of yourself. Your style, your sleep, and your moods should all factor into creating beautiful modern luxury bedrooms. After all, if it’s not for you, then who is it for? Create the space that makes you happy, and don’t be afraid to change things up if you get tired of something. A bedroom is an evolving, creative space where you get to create the tapestry that rocks you to sleep. Now go get that bedroom you deserve. It’s time to relax in the new year.